Unless you are a doctor or a nurse, you probably won’t spend much time thinking about this question. But, if you are in such a profession (or your s/o is), this question will be on your mind as you begin thinking about choosing an engagement ring? Is she permitted to wear an engagement ring at work? Will her engagement ring snag and or scratch her patient’s clothing hair or skin? Will her engagement ring be hygienic? The understanding of cross-infection is huge nowadays. Not just exposing a sick patient to possible infection, but also doctors and nurses contracting whatever the patient may have. This is why latex gloves are now mandatory for medical staff at all levels. It may also mean that the wearing of rings, or any jewelry, will be against the rules. But, assuming jewelry is permitted, some styles are better suited than others. You do want to avoid snagging and, and also increased risk when putting gloves on or off. But it isn’t just about the practicalities of working in your engagement ring. Your ring is also at risk. Diamonds may be the hardest mineral we know of, but it doesn’t mean they are indestructible. They can chip far easier than you might think and, if caught in something, can quickly become loose and ping right out. But do rings that solve these problems even exist? They do, actually. Obviously, the “pointier” a ring is, the higher the risk of it catching onto something. Unless you want to shred gloves or even patients with alarming regularity, some styles are probably not the best idea. Prong settings are one area of concern. Part of the problem is the constant tearing of gloves of course but, more importantly, prongs are very snag-friendly. It doesn’t take much for a single prong to bend and for the diamond to become loose. With a busy job where your hands are always in motion, there’s every chance you won’t even know your precious diamond is no longer there until it’s too late. It doesn’t mean that a prong setting is an absolute no-no, just that the overall design may need some thinking through. The more stones and/or the more intricate the design, the more chance there is of carrying germs around with you. If you’ve ever cleaned an engagement ring thoroughly, you’ll know what can become stuck within the ring structure. Creams, lotions and other oils attract dirt very quickly. Add microbes and bacteria into the mix, and the potential for disaster is obvious. You may be healthy enough to survive exposure to such things, but the nature of your job means others will not be. Unfortunately, there’s no good way to be 100% sure that your ring doesn’t end up carrying harmful bacteria, but it’s best to minimize the chance. All this doesn’t mean, though, that you have to avoid any ring with a degree of intricacy. It just means it gives you something else to think about before buying. Because we’ve mentioned that prong settings can be an issue, a bezel setting is an excellent alternative. 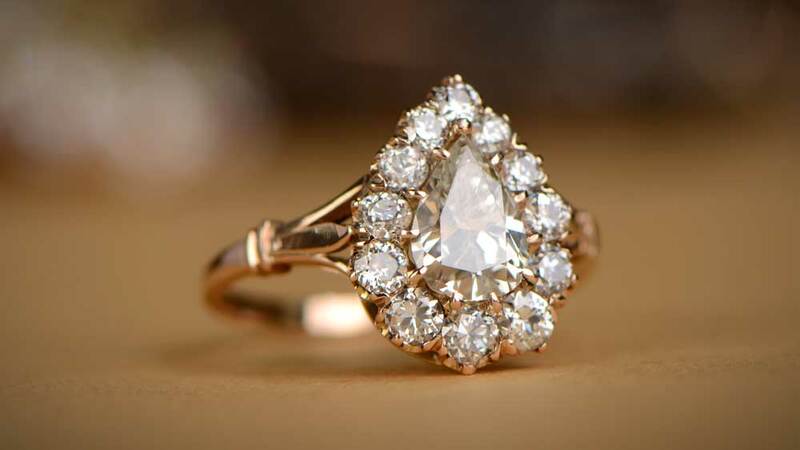 The nature of most engagement rings is always going to be that the stone is part of a raised profile. This means that there will always be some risk, but a bezel does reduce it considerably. 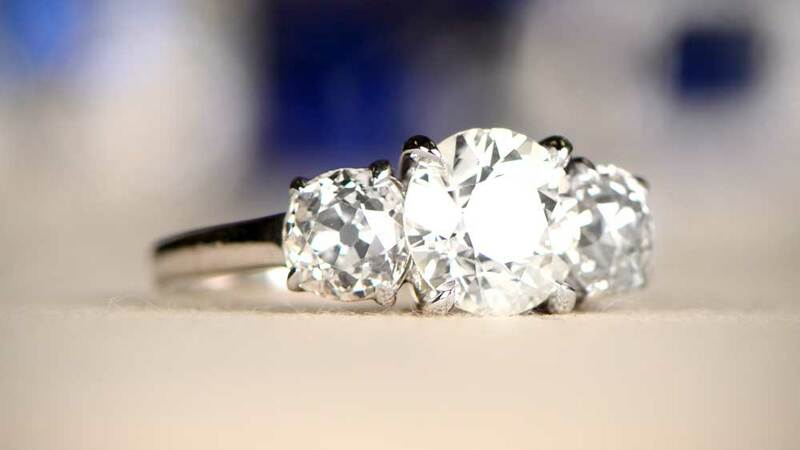 The lack of prongs means the diamond is more protected more securely and less likely to work loose. Chips and impact damage is far less likely, making a bezel setting a good choice. Partial bezel settings are quite common. Some designs take a sort of mid-way stance between prong and bezel. Although not a partial bezel as such, this setting uses retaining pins which are much more substantial than a standard prong setting. The width of the retaining pins mean less snagging and also the stone is very secure. You’re now thinking that we’ve already told you to avoid prongs, but we didn’t. All we advised was to apply some common sense if choosing a prong setting. With the Newport Ring the design allows for a prong setting that has more protection than for similar rings. “Double” shoulders takes away some of the prominence of a true prong setting, and means sharp edges are much less pronounced. The gated effect of the gallery allows the prongs that are there to be far more substantial than normal. The Gypsy, or flush, setting, is an engagement ring which closely resembles a wedding band in design. Any stones are set into the metal to sit just below the surface. This removes the snag danger almost completely, nd also means gloves are much less likely to tear. 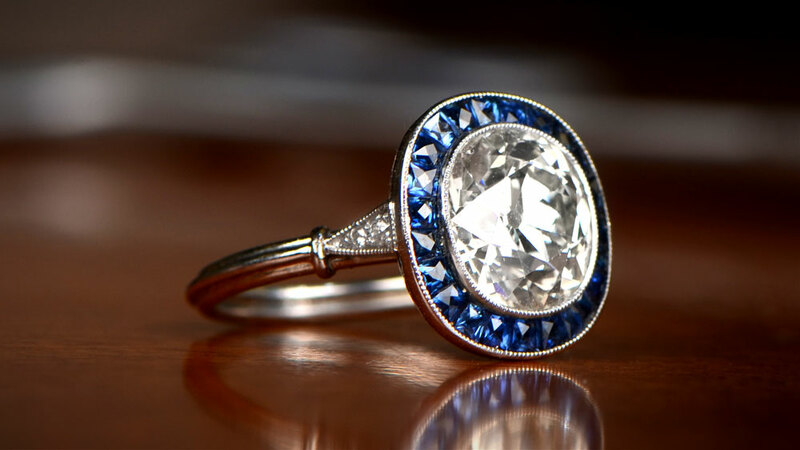 The fact is that gypsy settings are not a traditional engagement ring style. 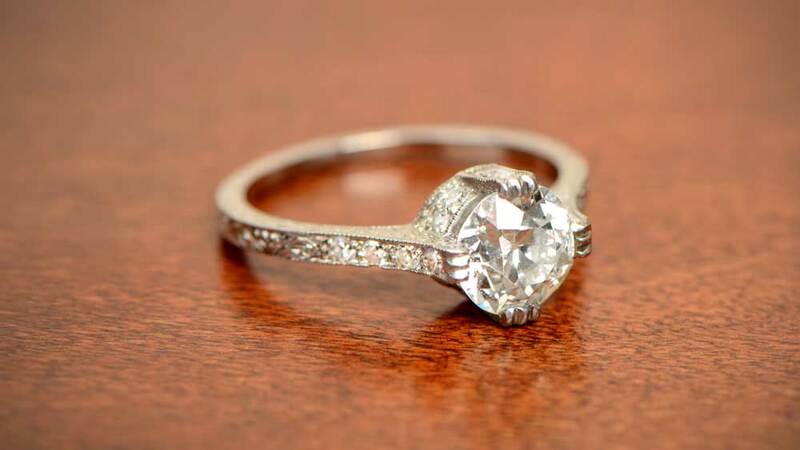 They are becoming a little more popular, but aren’t to everyone’s taste for an engagement ring. They do, though, suit the needs of doctors and nurses perfectly, so should be considered. In many countries, notably the UK and Europe, the wearing of jewelry is banned for doctors and nurses. This is everything from earrings to watches and, of course, includes engagement and wedding rings. There’s no saying that this will become the norm in the US, although some clinics and units have introduced the restriction for front-line staff. This makes choosing a ring that much more difficult. Do you settle for a design you didn’t fully embrace, simply because you want to wear it all the time? Or do you buy what you want in the hope/assumption that it will be a moot point sooner rather than later? We can’t answer that for you, but we do say this. Be happy in your choice; it will be with you for a lifetime.